DUBLIN — Host, Sarah Rutan: If your carpet has unsightly spots, you’ll be glad to know there’s a simple way to remove these yourself. Today we’re in Dublin with Diamond Certified Expert Contributor Curt Holman of Precision Cleaning Services to learn more. 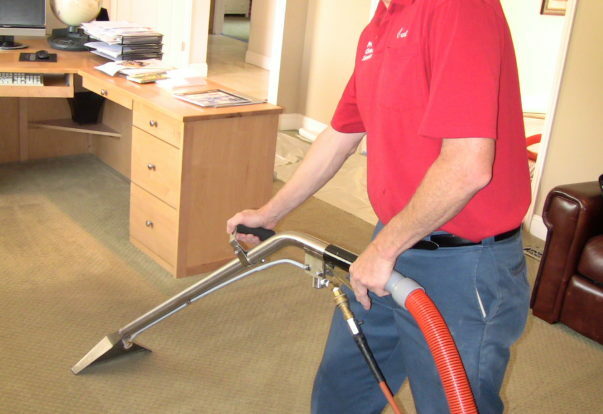 DUBLIN — Spot cleaning your carpet isn’t difficult, but you need to use the proper procedure to yield a good result. This starts with choosing a good spot cleaning agent. Look for a product that has a neutral pH and isn’t overly soapy or heavily concentrated. Avenge Neutral Spotter and Folex® Instant Carpet Spot Remover are both good choices. SAN RAFAEL — Host, Sarah Rutan: If you’re wondering what type of flooring is best for indoor air quality, you may be surprised to hear the answer. Today we’re in San Rafael with Diamond Certified Expert Contributor Leigh Bakhtiari of City Carpets to learn more. Diamond Certified Expert Contributor, Leigh Bakhtiari: Indoor air quality is important to everybody, but most especially to people who suffer from allergy or asthma. The Carpet and Rug Institute has actually shown that having an area rug or wall-to-wall carpeting gives a place for airborne particulates to land, making it easier to clean. SAN RAFAEL — Host, Sarah Rutan: Whether you have a tile, hardwood or laminate floor in your home, there’s an important cleaning guideline you don’t want to overlook. Today we’re in San Rafael with Diamond Certified Expert Contributor Leigh Bakhtiari of City Carpets to learn more. Diamond Certified Expert Contributor, Leigh Bakhtiari: When cleaning any type of hard surface floor, whether it’s tile, hardwood, LVT or laminate, make sure to dry clean it first by either sweeping or vacuuming. Otherwise, adding liquid to it could act like a sand paper on top of a hard surface. Also remember with hard wood floors it’s not necessary to wet mop. 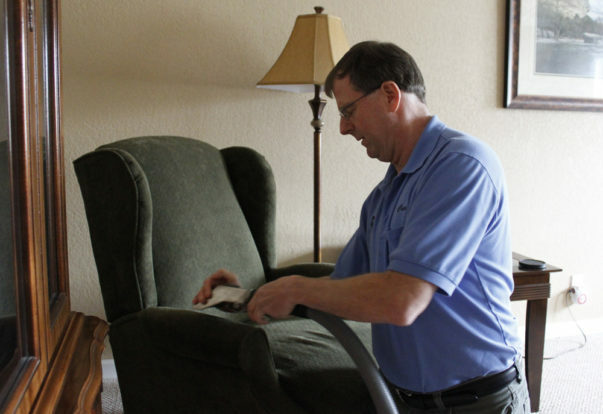 SAN RAFAEL — Host, Sarah Rutan: To maximize the lifespan of your carpet, it’s important to know the recommended intervals for maintenance measures like vacuuming and steam cleaning. Today we’re in San Rafael with Diamond Certified Expert Contributor Leigh Bakhtiari of City Carpets to learn more. DUBLIN — Host, Sarah Rutan: When it comes to maintaining the carpet, tile and upholstery in your home, you’ll need to determine appropriate intervals for professional cleaning. Today we’re in Dublin with Diamond Certified Expert Contributor Curt Holman of Precision Cleaning Services to learn more.